Daughter of my brother-in-law Gomatam Raghavan and Revathy Raghavan, Rajalakshmi Raghavan alias Ramya, won accolades when she got the first rank in her B.Sc. degree examination. Ramya is the only daughter to her parents and is now pursuing her M.Sc. (Biotechnology) at Vellore Institute of Technology, India. 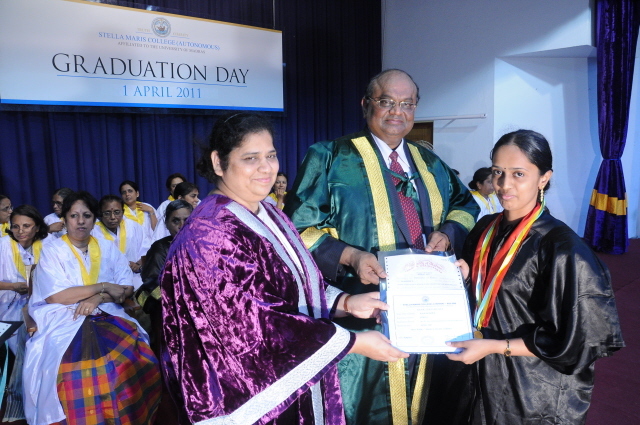 The first rank in the degree examination also earned her the Gold Medal awarded by Stella Maris College where she studied for her Degree course. Congratulations to Ramya on this brilliant achievement! As are her parents, we are also proud of Ramya's achievement!